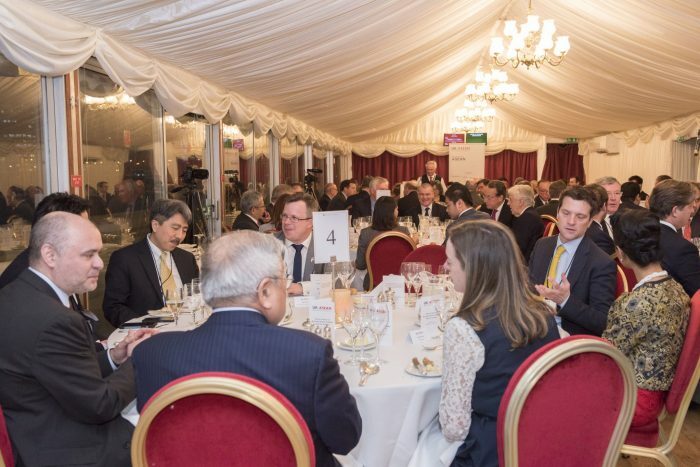 The UK-ASEAN Business Council hosted a Gala Dinner in Honour of the ASEAN Secretary-General, Dato Lim Jock Hoi. Guests included Rt Hon. 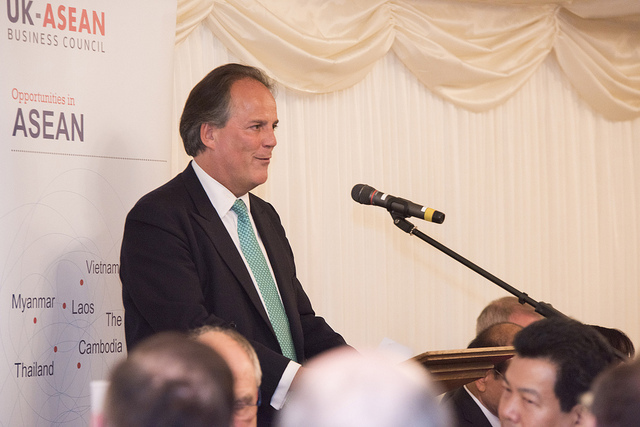 Mark Field MP, Minister of State for Asia and the Pacific at the Foreign and Commonwealth Office, ASEAN Heads of Missions in the UK, Prime Minister’s Trade Envoys, Members of Parliament and the House of Lords, think tanks and the business community with a strong presence in Southeast Asia. 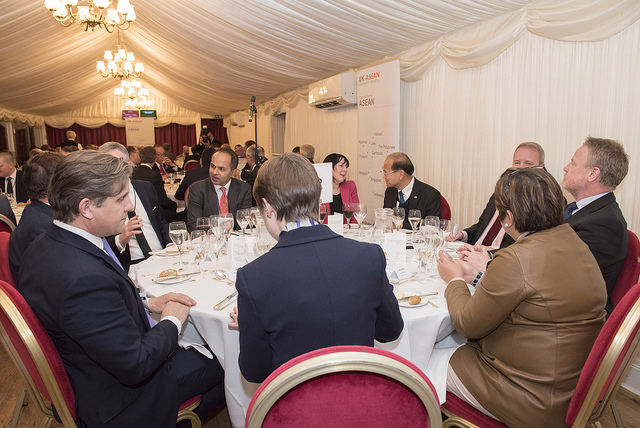 The Gala Dinner was kindly sponsored by Accenture, Prudential and Shell. 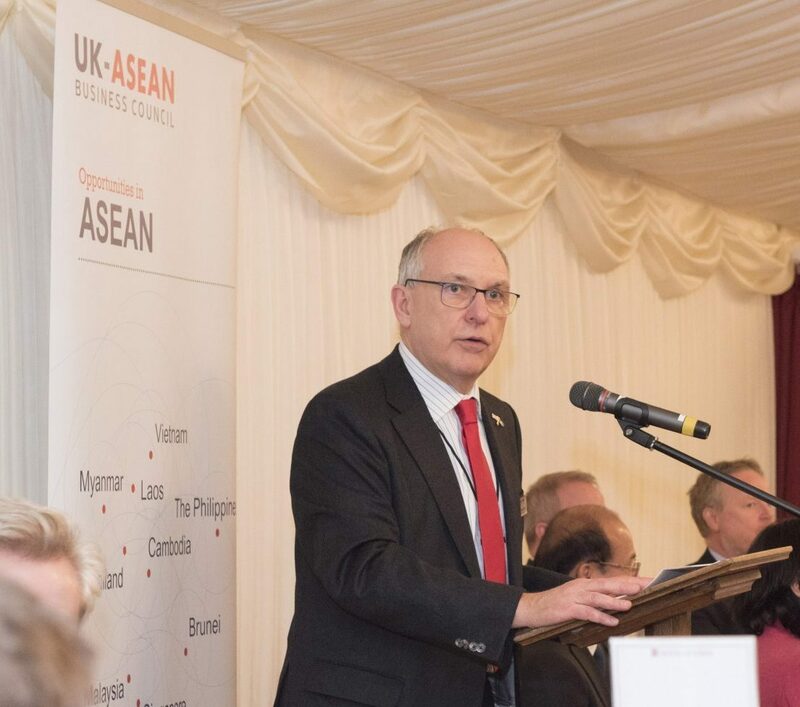 Martin Hatfull, Chair of the UKABC, highlighted the importance of the evening in his opening remarks noting that the UK is serious about our relationship with ASEAN and looks forward to our future together. 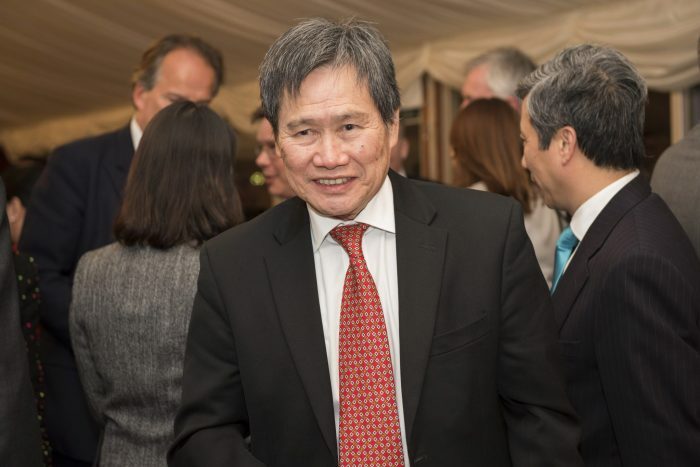 In his address, Minister Field, who has visited all ten ASEAN countries, said the reason for the high level of engagement with ASEAN is because without a shadow of a doubt this century is going to be the Asian century. 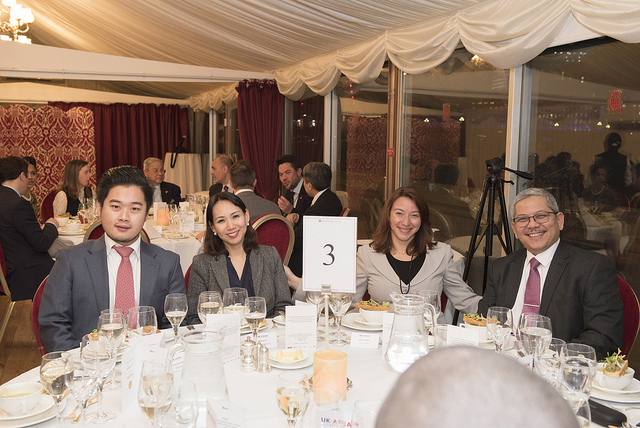 Southeast Asia is not only already an engine of global growth but is also home to more UK investments than China and India combined. 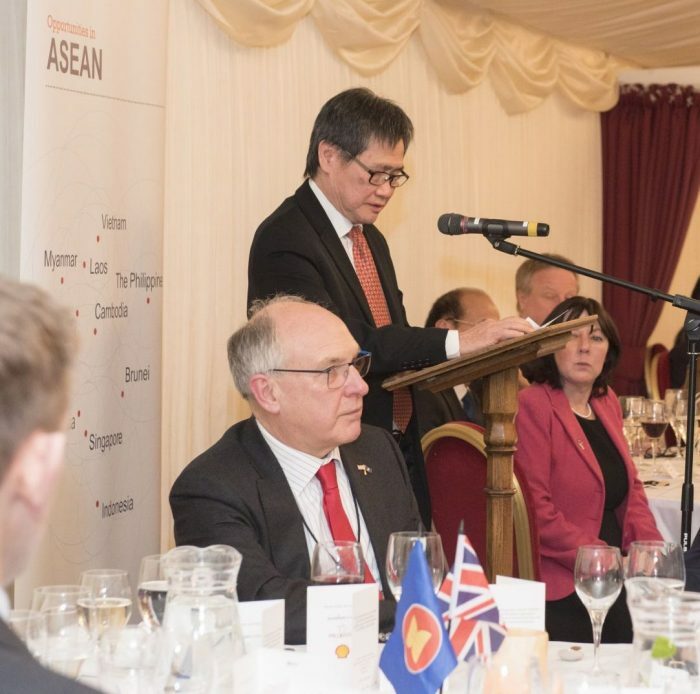 Minister Field noted ‘There is huge potential in the future UK-ASEAN partnership. One such area is the digital economy. 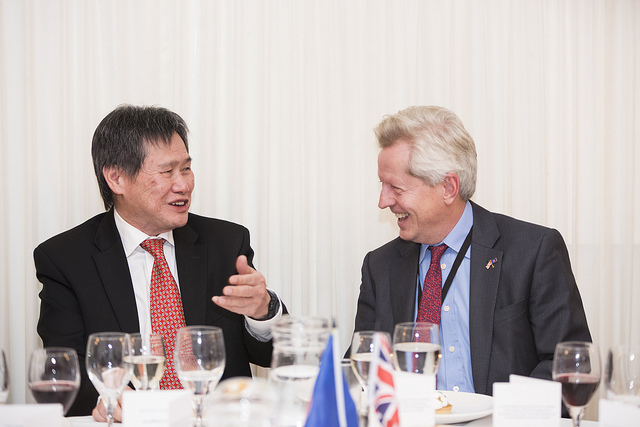 Building on current projects such as the FinTech Bridge in Singapore, the UK is well placed to work throughout ASEAN to develop and sustain a vibrant digital economy. 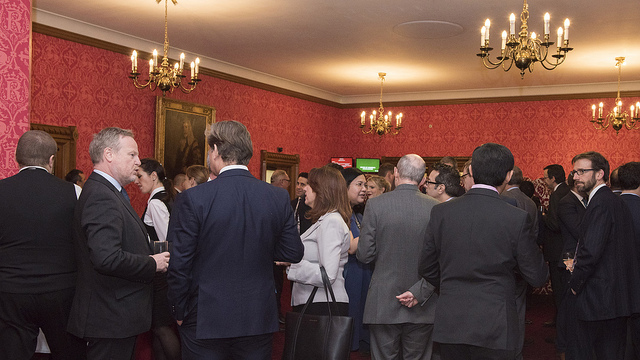 Digital Catapult the UK’s leading advanced digital innovation centre is already exploring ways to support UK start-ups to reach ASEAN. Sustainable economic development and climate change are also important priorities for any future partnership. That’s why it gives me great pleasure to announce this evening we shall be funding two new multi-million pound programmes supporting ASEAN’s goals on economic reforms and on low carbon energy. To strengthen the business environment through better protection of intellectual property and fairer competition. To enhance government and business transparency and compliance with international standards by promoting business integrity and strengthening the ability of authorities to tackle corruption and integrity. To broaden and deepen financial markets and promote financial inclusion through Fintech by supporting the development of capital markets, strengthening the capabilities of anti-money laundering authorities and raising accountancy standards. 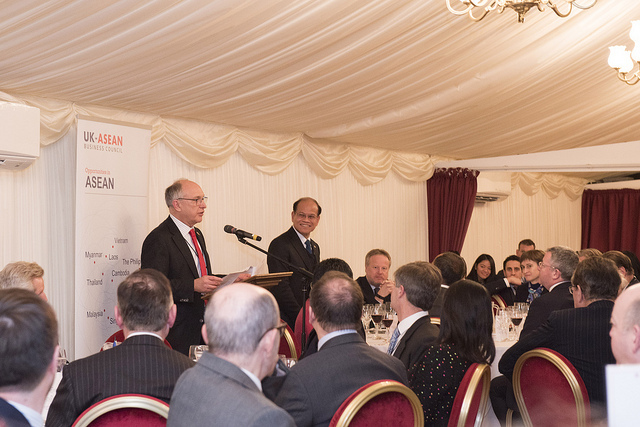 In his remarks, Dato Lim expressed his thanks and gratitude to the UK-ASEAN Business Council for organising the dinner and to be with men and women who are ‘technically driving the British economy’. He said that the current dynamic developments in Europe and the UK could bring an impetus to ASEAN-UK relations to reach greater heights. Dato Lim concluded by highlighting ‘Last but definitely not the least, is on the Fourth Industrial Revolution (4IR). 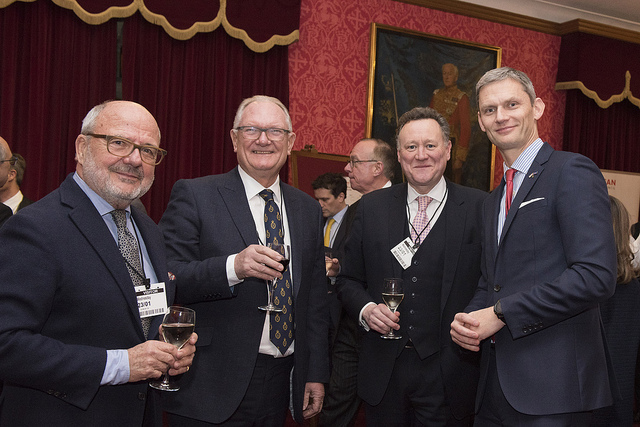 As the world enters the age of the 4IR, it would be important for ASEAN to learn from the UK’s experience and business practices in managing disruptions to human capital, production changes, data management and associated security issues. 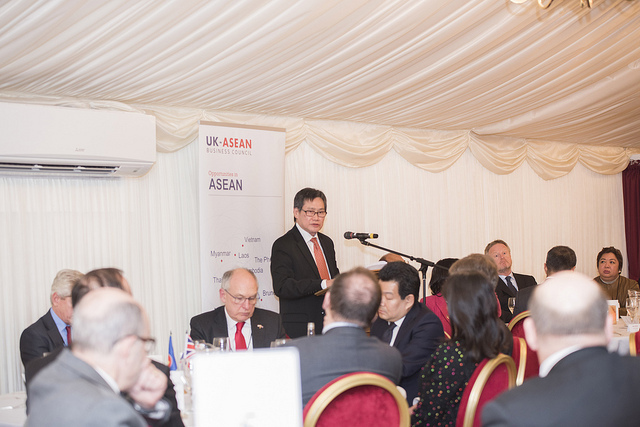 I would like to suggest that we explore some avenues where the UK government and businesses can share information or offer capacity building to the ASEAN Member States and the business community in ASEAN on this global challenge. 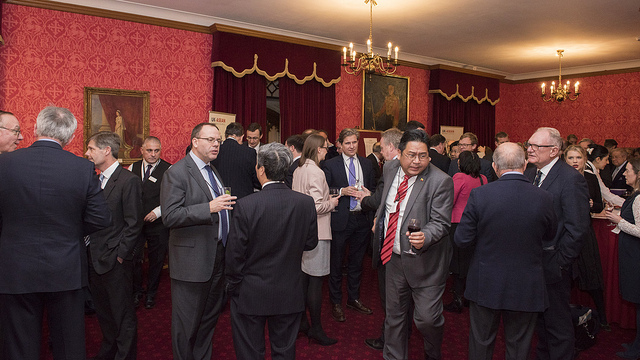 The evening concluded with a toast to the growing UK-ASEAN relations.